8.The client is permitted to set the different light proportion. And we advise 8:1, 7:2, 2:1 & 1:1 for the red and blue. 9.The wavelength can be set flexibly. We suggest 620-630 & 640-660 for the red and 450-460 & 460-470 for the blue. The red speeds blooming, the blue speeds growing. It can be adjusted according to the plant growing status. 10.Materials meet environment friendly, no hydrargyrum or harmful heavy metal. 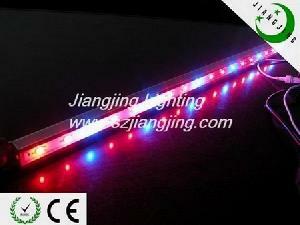 11.9W, 11W, 18W, 22W, 27W, 33W, 36W, 44W or customized one are available.